The novel has a promising start. Orphan girl (well, 20-year-old-woman) living in a slum, conning rich powerful people? Nice. Djinn and zombies / ghouls and a chase across continents with a powerful but haughty djinn knight called Dara? Great. That section of the novel is rather inspired by the romance genre, it has to be said. Finally, the City of Brass itself is an impressive setting. However, the City of Brass is certainly no utopia. Through Ali, a prince trained to be a warrior and future Qaid (think Grand Vizier) and the other viewpoint character, we see that Daevabad is every bit as brutal as 18th century Cairo. Especially half breeds and their descendants, called Shafrit, are at the receiving end of oppression, exploitation, slavery and crime. Ali, a religious zealot, would like to improve the lot of the Shafrit, but this would be a betrayal of his father, the king's policies, and could end up costing his life. 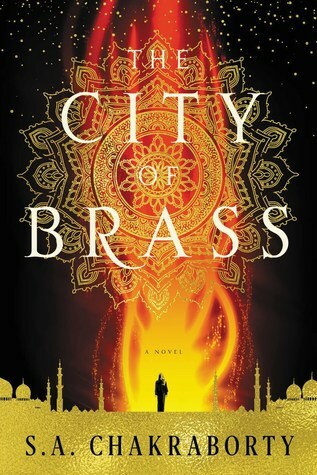 There are many things to recommend City of Brass. The prose is good, Nahri is a likeable protagonist, the adventures are on a grand swashbuckling scale, and the setting that ranges from Egypt to India is pleasantly exotic to Western readers. There are also things that I did not enjoy. As the story develops, more and more focus is on the rivalry, mistrust and hatred between two djinn tribes (the Daeva and the Qahtanis). We watch Ali forced into moral compromises, and gradually learn of Dara's past. Nahri, caught between different power factions in Daevabad, has to try and get by in a Game-of-Thrones-like city of intrigue, politicking and tribalness. None of which would be terrible, but once it became clear that the different djinn tribes, and virtually all characters, are deeply racist and bigoted about each other (and even more so about the Untermensch Shafrits), the story starts to develop an unpleasant aftertaste. By the time I finished reading, the only character who was still likeable was Nahri; everyone else is basically scum. Top marks for the start, the setting, and the initial atmosphere. Alas, the fun is soon eroded as things get ever-more murky. The book starts out as joyously swashbuckling fantasy adventure and ends up a grimdark novel of hatred, rivalry and despair. That is not a destination I wished to get to, and I doubt I will want to read the rest of the trilogy.